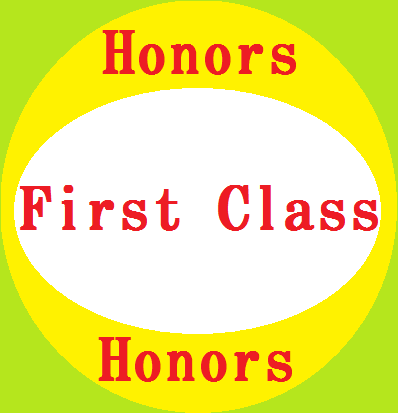 The aim of any student at tertiary level is to graduate with a First Class honours. It comes in handy when the admission you needed came and even to the course of your choice. Who wouldn’t want to dream having a First Class honours; however, it becomes out of reach to almost 90% of students that ever tried to reach it. The simple and bitter truth is; First Class result is not for everyone. The most important thing to have is a First Class mind. What is the essence of a First Class result you can’t defend or the abundance of A you hardly grabbed the basics. Since the current education in Nigeria has been riddled by more cramming than understanding, coupled with the inability of teachers and lecturers to communicate appropriately or actually bring tedious terms to the level of students, a result can easily be questioned. Despite the inadequacy of the Nigerian education system, some students and graduates have been outstanding whether First Class Honors or not. Sometimes, merely knowing the skill set of some students, or when they speak, interact, suggest practicable solutions, you actually think they graduated with First Class. Oh no, they didn’t, they only possess a First Class mind. 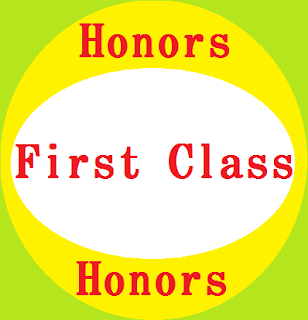 So in this article, the purpose aside how to have a First Class honors, will also impart on how to have a First Class in everything you do in life. So what does it take to have a First Class? Whether academically or professionally, the most important factor to succeeding is to have a First Class mind. You start to ask, what is a First Class mind, what does it entails, what does it do, how is it different from other minds. It is very simple; a First Class mind is one that is success inclined. One that is anxious, ravenous, ambitious and hungry for success. First Class minds always want to learn everything and know everything. It is so tenacious and can do anything to succeed. If a First Class mind promises itself to do anything at a particular time, it must do it and it will do it. If that thing doesn’t happen or come to pass, it would never stop trying or give up on it. In my case in the university, I got to my third year before I developed a First Class mind. One thing must happen to a man to prepare him for circumstances. I wasn’t interested or chasing a First Class at the start, and when I had my first drop at the third year, that was the moment that changed everything about my life. I got very angry at myself, I was seriously mad at the drop and just the hunger for success affected every aspect of my life. Right from skills to instruments, to reading, to hustling, to public speaking; a First Class mind had made me find everything easy as long as my mind wants it. To make a First Class in the university or headway in life or business, the First Class mind is the most important. ‘The secret I learned early on from my father was to run scared and never think I had made it’ - Thomas Watson. One other thing about having a First Class is being ambitious. I mean, you should be very angry at yourself for not having it yet. Become so hungry for success that you don’t see yourself not making a First Class in whatever you do. Wherever you are, without arrogance and overbearing attitude, make yourself outstanding. Always try to do better than others. Whether in group works, symposiums, assignments, studying, always try to be ahead of everyone. If it were to be in business, observe the market, study your competitors, try to identify the things they do better than you. Fix up yourself, make corrections and see yourself outdo them. ‘Not art, not books, but life itself is the true basis of teaching and education’ - Johann Heinrich Pestalozzi. One thing in life to seeing your success to a First Class level is your readiness to learn. Anybody is old enough to teach you. You can learn anything from anybody, even those younger than you. Never feel ashamed to learn new things, new methods, new skills, they are all for your own good. You can’t be a First Class material when you see yourself as an island of knowledge. Always reach out to people to know more and to learn more. So also, always learn from experience, most especially others’ experience. ‘It is only a fool that waits to learn from his own experience when he could learn from others’. You don’t have the whole time in the world to be making up for your mistakes or doing it again. First Class materials hardly make mistakes because they hardly forgive themselves for such, they rather strive to be perfect and leave no stone unturned. So learn from others, and learn from yourself. No moment should pass without you seeing something to hold on to. ‘Education is an admirable thing, but it is well to remember from time to time that nothing that is worth knowing can be taught’ - Attributed to Oscar Wilde. In the light of this, you have seen few things to do to identify with a First Class material, we hope you adhere to it and see it work perfectly for you. Please remember to share the articles with your friends and family, on social media. You just don’t know who needs such urgently to make a decision.